Change the conversation about marketing funnels. Marketing funnels can be confusing. Funnel Flows makes it easy. It's never been easier to concept, present, and manage funnels. 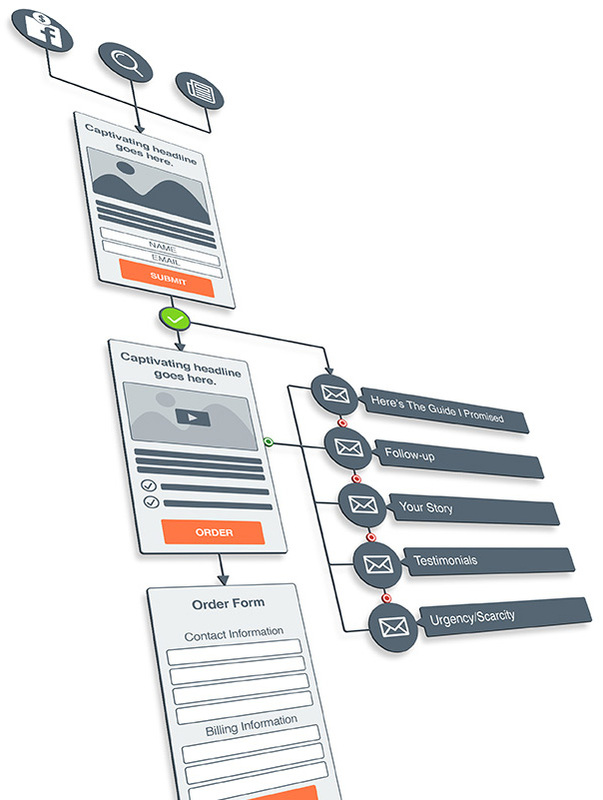 Create detailed, visually stunning marketing funnel flowcharts. Funnel Flows has the perfect toolbox of done-for-you elements crafted specifically for marketing funnels. Quickly grab the elements you need and map out your funnel in minutes. Take the guesswork out of executing different types of marketing funnels. In a single click, instantly load a 80% done-for-you funnel project that's ready to customize and execute with minimal effort. The library of templates covers almost any type of funnel imaginable! Do you have your own strategies that get results for your clients? Do you focus on a certain niche and know how to repeatedly execute winning marketing funnels? Build your own playbook of funnel flows to quickly start your next project with My Templates. Discover how smoothly your business can run with Funnel Flows. © Copyright Funnel Flows. All Rights Reserved. Need Help?